Aside from discussing maintaining a "healthy" lifestyle, something I don't normally talk about on this little corner of the internet is my own personal health. 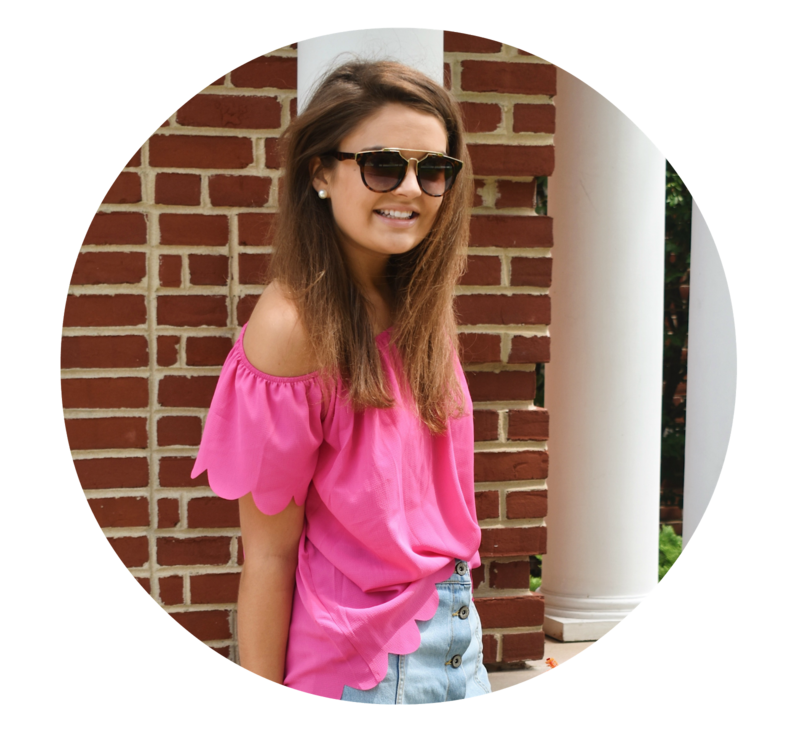 I'm fortunate enough to not have a bunch of health concerns to worry about, but there is one thing in particular that has really been affecting my life lately, so I thought I would talk about in case other people struggle too! I've always had a few seasonal allergies ranging from mold to cats to ragweed, but in the past few years they've gotten significantly worse. I remember the beginning of tennis season last year being absolutely miserable because I could barely breathe on the court from the pollen in the air. The allergies triggered my asthma and made it strenuous to breathe, especially when I was exercising outside. As long as I was inside in the air conditioning, though, I was perfectly fine and could go about my life normally. Recently, however, you could say my asthma has gotten out of control. I found out I'm pretty allergic to ragweed and the count was really high around the time Sammy visited Milwaukee. Not only were my chest and throat tight but I started getting this cough that would not go away. There was a span of 3 nights where I was up until 4 in the morning because I couldn't breathe well or stop coughing. After realizing that my inhaler clearly wasn't working, I finally saw my doctor. 2 new inhalers, some steroids, nasal spray and a blood test later, my asthma finally feels more under control. I always downplayed it thinking a little trouble breathing wasn't a major concern, but when it starts to make things like going outside for a walk or even trying to fall asleep difficult, it's time to figure out what's going on! 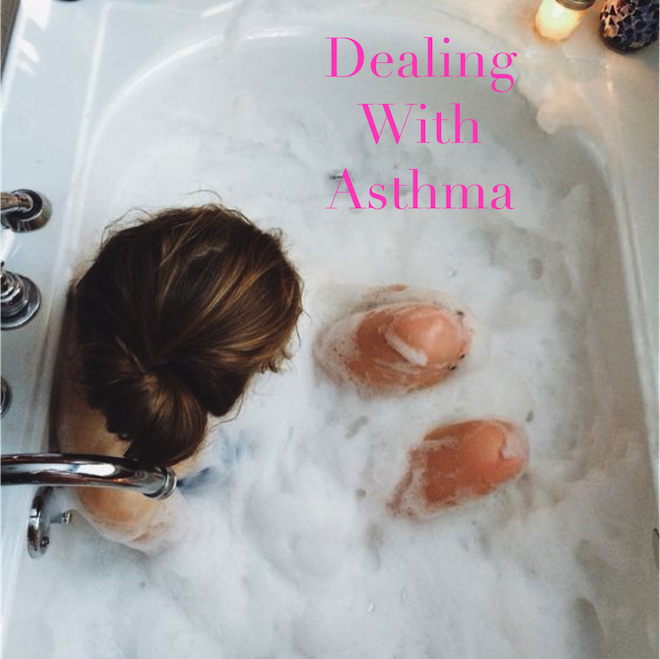 Like I said before, I'm really fortunate that this is the only "major" health problem I have, but I wanted to share my experience with you in case you are living with asthma too. I've finally had to accept that this is something I'll most likely deal with for the rest of my life, and I feel so much better going into college now that I have an "asthma plan" with instructions on what to do if my breathing does get bad again. The biggest thing I've learned when it comes to asthma or allergies in general is to be prepared. My brother has a ton of severe food allergies so I'm always used to making sure he has his epi-pen, but I often forget to bring my inhaler places because it doesn't feel like it's as big of a threat to me. If your breathing is bad during a certain time of year, make sure you take your medication ahead of time and have your inhaler with you throughout the day. I've learned the hard way many times that you always need to bring your inhaler with you in case it gets difficult to breathe! If you're having trouble with allergies, get tested to see what it is you're actually allergic to. I didn't know half of the things that triggered my asthma, so now knowing the allergens, I can be a lot more prepared. Do you deal with allergies or asthma? I had pretty terrible asthma when I was in middle school but I somehow grew out of it. That stinks though! I think my takeaway from this post is to go to the doctor when something isn't right. I'm the type of person to put off doctor's appointments as longgggg as possible because I don't have much free time in my days. But it's so important! I relate to this SO much!! My asthma got significantly worse when I came home from college and I would be more comfortable standing then laying in my bed. I would be out of breath just speaking!! Now that I have it under control I love being able to live freely and not worried constantly about my allergies/asthma! Thanks for keepin' it real today! !